Please note that this current website does not have a shopping cart. To buy our Wolf Products online, please go to our e-commerce website at NaturalExotics.ca. 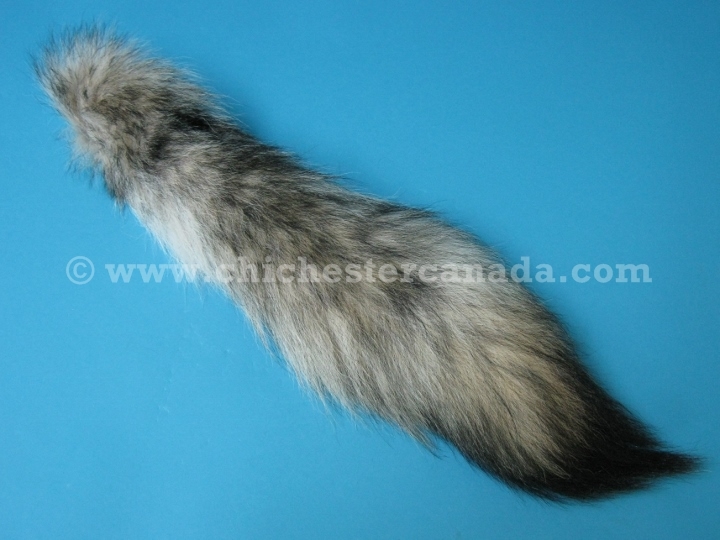 We have a limited number of good quality timber wolf tails. 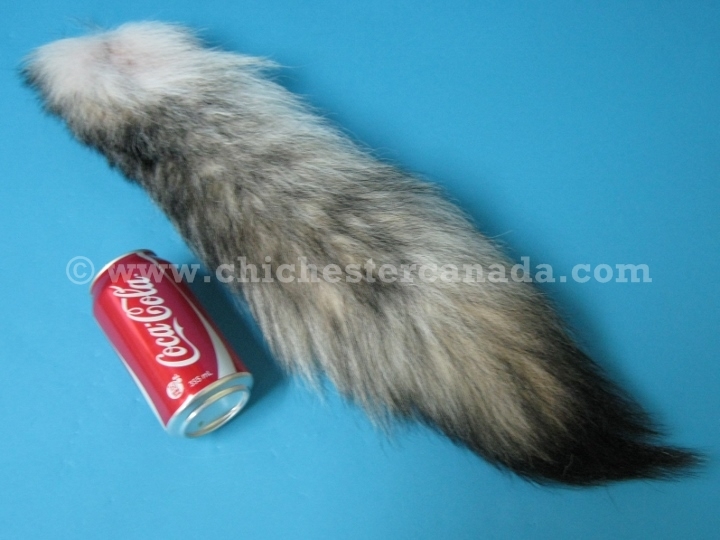 These bushy gray tails have dark tips, and may vary in size. The one pictured above measured 60 cm long, 15 cm wide, and weighed 90 grams.